Kuala Lumpur, September 2017 - American hard rock supergroup Mr. Big is finally making their way to Malaysia! 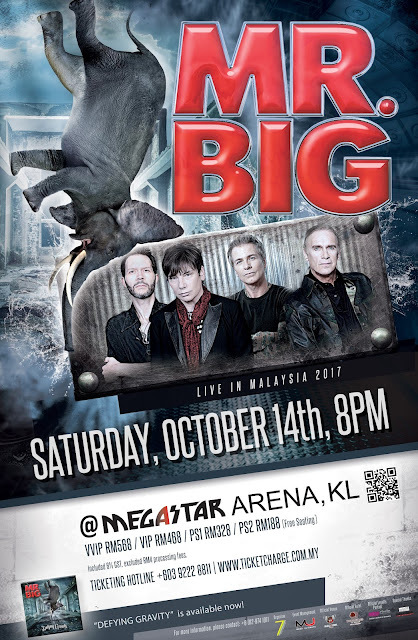 Organized by Plan 7 Production, Mr. Big Live in Malaysia 2017 will be rocking Mega Star Arena, Kuala Lumpur on Saturday, 14 October at 8pm! The concert is in support of their latest album “Defying Gravity”, which was fully recorded in only 6 days. Fans can expect a night of nostalgia while rocking out to classic hits along with surprise gems from their recent releases. 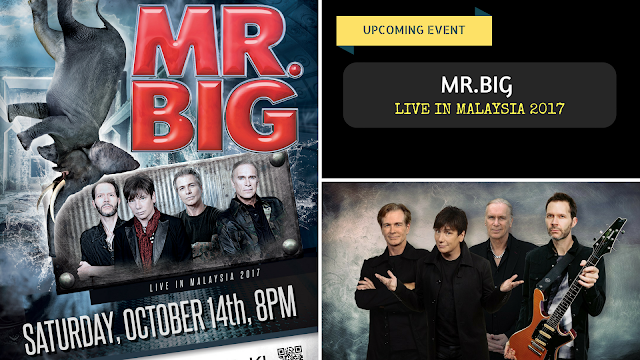 Formed in 1988, Mr. Big immediately made their mark in history. 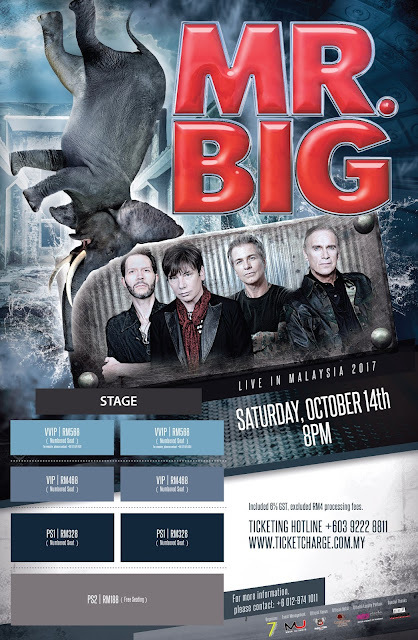 Best known for their classic chart topper "To Be With You" that led to major international success and multi-platinum record sales, Mr. Big have remained active and popular throughout decades of changing music trends. 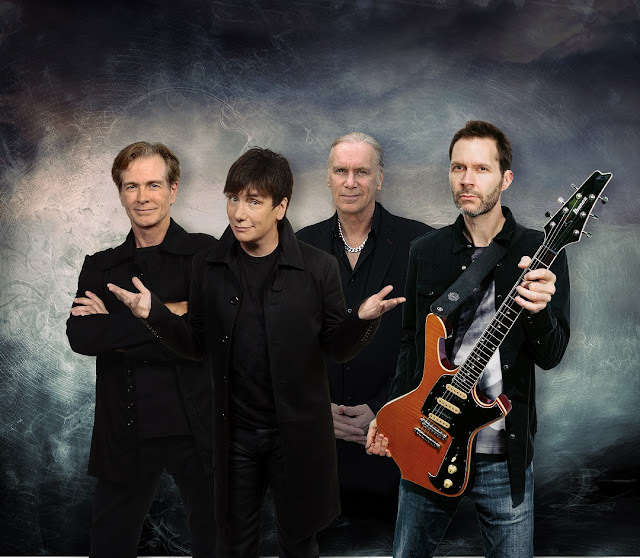 The current and original Mr. Big line-up comprises frontman Eric Martin, Billy Sheehan on the bass, Paul Gilbert on guitars and drummer Pat Torpey. The band went through a breakup in 2002, but after overwhelming requests from fans, got back together in 2009 and have continued rocking the music scene ever since. To date, Mr. Big has released a total of nine studio albums. 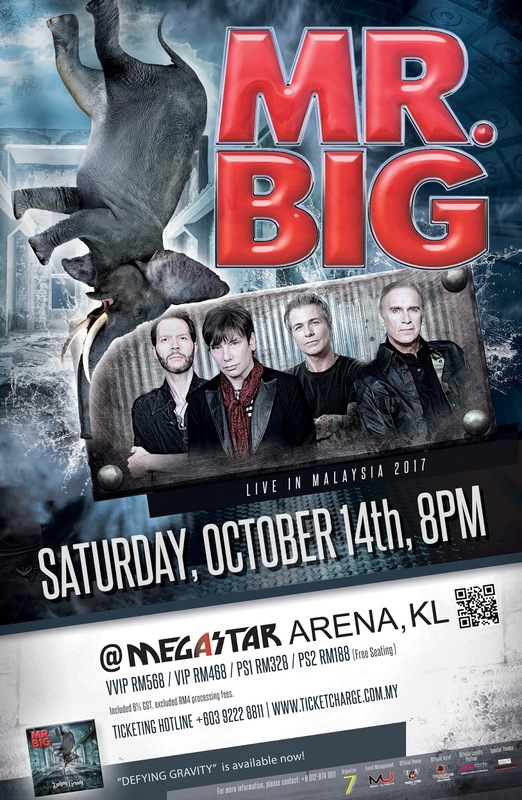 By combining trademark "shredding" musicianship with awesome vocal harmonies, Mr. Big has produced a number of hit songs across a wide array of rock genres – be it ballads, heavy metal, or blues rock, such as “Alive and Kicking” and "Just Take My Heart". Their musical features have touched fans all over the world. Tickets to Mr. Big Live in Malaysia 2017 are priced at RM568 (VVIP), RM468 (VIP), RM328 (PS1) and RM188 (PS2). All tickets are numbered seating, except for PS2 which is free seating. Ticket prices are inclusive of 6% GST but exclusive of RM4 processing fee. Mr. Big Live in Malaysia 2017 is organized by Plan 7 Production, Mega Ultimate as the Event Management, Mega Star Arena as Official Venue, Double Tree Hotel as Official Hotel, Astro Circle as Loyalty Partner and Special Thanks to Mega Music World.